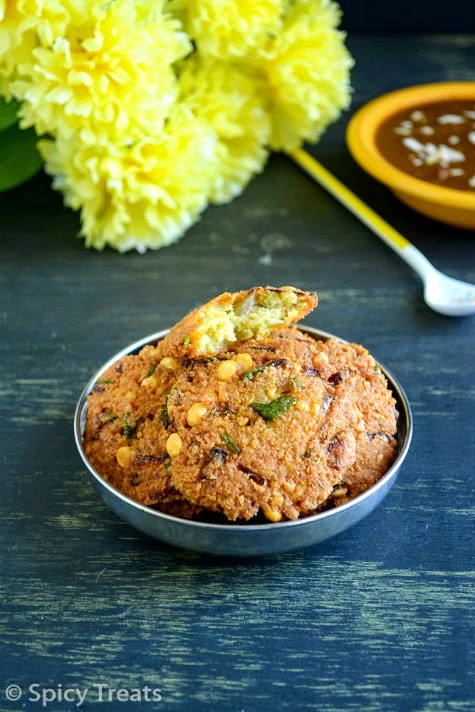 For all the special occasions, festival, Padaiyal/virunthu at home I only make this paruppu vadai. Everyone at home love my vada a lot. 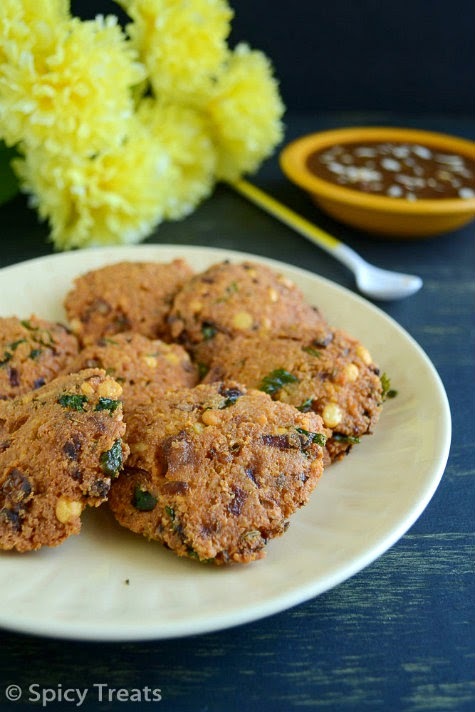 I have tried this Masal vada with different combinations with Greens/Keerai, veggies, green peas, chickpeas and with spices and mint falvored ones also. 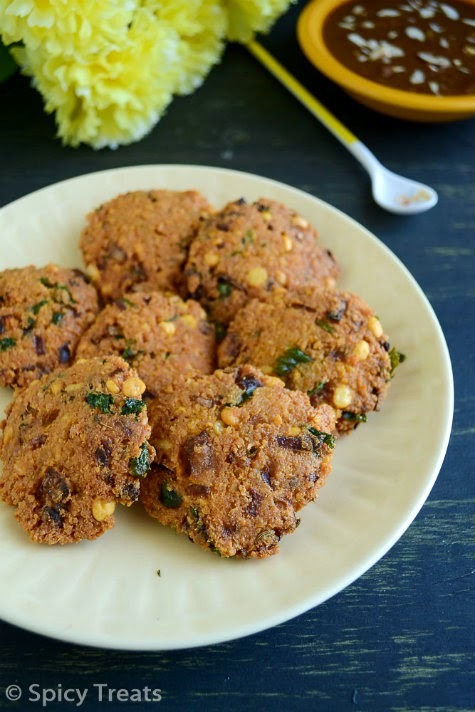 I have tried this Masal vada with different combinations with Greens/Keerai, veggies, green peas, chickpeas and with spices and mint falvored vada also. Then drain them completely and grind to a coarse paste with green chillies, garlic and 1 tbsp fennel seeds using very little water. Spare some soaked dal. Transfer the grounded coarse paste to a bowl and add all other items (onions,ginger,curry leaves,coriander leaves,1 tsp fennel seeds and soaked dal ) and Mix them well with enough salt. When oil is hot take a small lemon size portion, make a ball and keep it in your palm and press gently by using other palm. That's it..Spicy and Crispy masal vada is ready. Serve hot with chutney or payasam. I usually serve it with some warm Paruppu Payasam or Semiya Payasam. 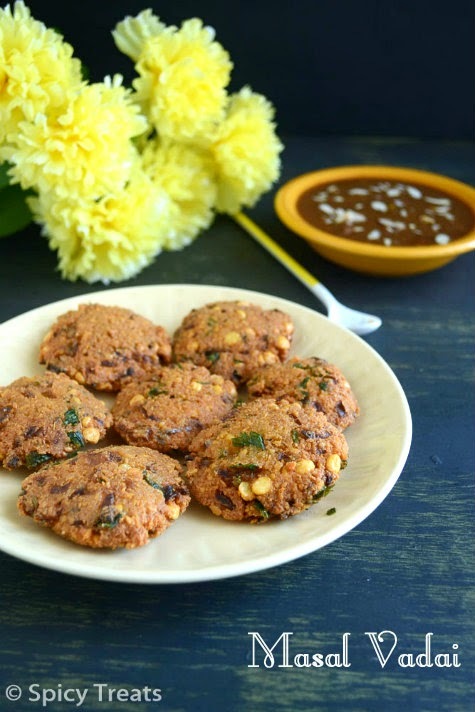 Pattani Paruppu/Yellow Spli Peas is the traditional way of making Masal Vada but you can make it with Channa Dal/Kadala Paruppu alone. You can use dry red chillies instead of green chili. For more spicy version, along with green chilli, fennel, garlic add 2 clove and 1" small cinnamon piece and grind it. My mom used to make this for sunday tea time, have to make this soon. Last pic tempting me Sangeetha.. very nice.. :) Visit my blog in ur free time.. 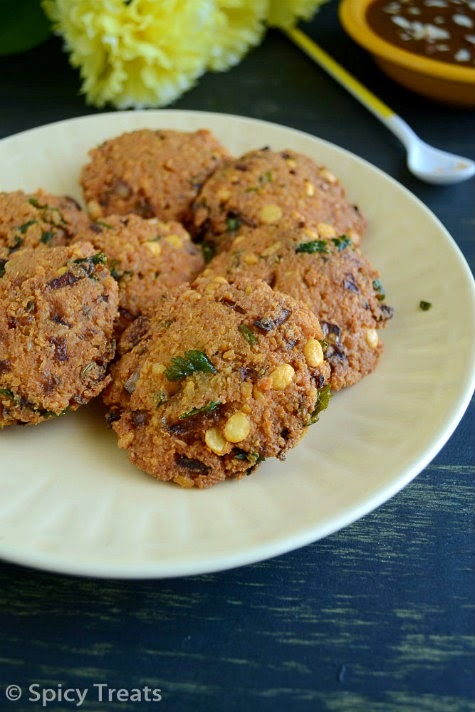 Very nice recipe , Favourite fried snack in Mauritius called " gateau piments"(chilly cake) here .